Digestion doesn’t just take place in your stomach. The pancreas produces a large portion of your digestive enzymes, as do the small intestine, stomach lining, liver, and salivary glands[i] (digestion begins in the mouth, after all). But these enzymes do not digest food -they digest nutrients. This process is by no means a simple input-output. Dozens of different enzymes work together along the gastrointestinal (GI) tract to break down macronutrients from the foods you eat. You can eat all the healthy food in the world, but if you can’t absorb it, not even the healthiest of diets will do you any good. However, our bodies can only digest what it’s given. Luckily, enzyme production is versatile and can be tailored to the composition of food consumed. 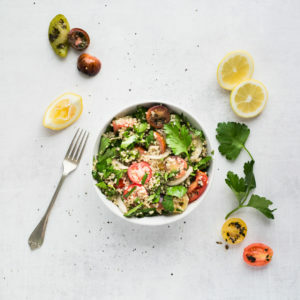 However, if a diet doesn’t include this pairing of essential enzymes, or if the body is unable to produce enough enzymes to promote healthy digestion and diverse microbial life[v], you run the risk of malnutrition. This is why maintaining a healthy diet is imperative to support the intricate process of enzyme production. As humans have evolved, enzyme production followed suit with microbial gut flora producing various enzymes to respond to different pathological and environmental threats. This line of defense allows the body to recognize and eliminate many dangers before they can infect the rest of the body. This is a helpful reminder to slow down. As obesity levels skyrocket, it is easy to see how a simple change like sitting down for non-distracted meals could provide a fulfilling way to destress and allow our enzymes to provide break down those nutrients that will speed us on our way. Talk to your doctor for more information and remember to take care of your enzymes so that they can take care of you. 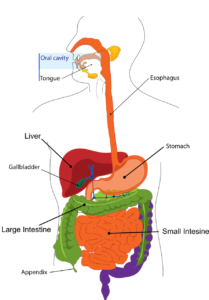 [i] Wallace M. The Digestive System & How it Works. National Institute of Diabetes and Digestive and Kidney Diseases. September 2013. https://www.niddk.nih.gov/health-information/digestive-diseases/digestive-system-how-it-works. Accessed May 17, 2017. [ii] Wallace M. The Digestive System & How it Works. National Institute of Diabetes and Digestive and Kidney Diseases. September 2013. https://www.niddk.nih.gov/health-information/digestive-diseases/digestive-system-how-it-works. Accessed May 17, 2017. [iii] Wallace M. The Digestive System & How it Works. National Institute of Diabetes and Digestive and Kidney Diseases. September 2013. https://www.niddk.nih.gov/health-information/digestive-diseases/digestive-system-how-it-works. Accessed May 17, 2017. [iv] Tweed V. Top 10 Digestive Enzymes. Better Nutrition. http://www.betternutrition.com/enzyematichealth/. Published December 6, 2016. Accessed May 17, 2017. [vi] Tweed V. Top 10 Digestive Enzymes. Better Nutrition. http://www.betternutrition.com/enzyematichealth/. Published December 6, 2016. Accessed May 17, 2017. [viii] Greenberg RE, Holt PR. Influence of aging upon pancreatic digestive enzymes. Digestive diseases and sciences. https://www.ncbi.nlm.nih.gov/pubmed/2426064. Published September 1986. Accessed May 17, 2017. [ix] Dallman MF, Pecoraro N, Akana SF, et al. 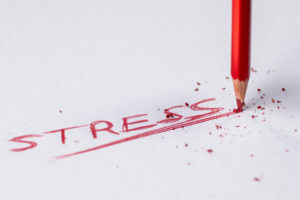 Chronic stress and obesity: A new view of “comfort food”. Proceedings of the National Academy of Sciences of the United States of America. http://www.pnas.org/content/100/20/11696.full?tab=author-info. Published September 15, 2013. Accessed May 17, 2017. [x] Dallman MF, Pecoraro N, Akana SF, et al. Chronic stress and obesity: A new view of “comfort food”. Proceedings of the National Academy of Sciences of the United States of America. http://www.pnas.org/content/100/20/11696.full?tab=author-info. Published September 15, 2013. Accessed May 17, 2017. [xi] Ehrlich SD. Bromelain. University of Maryland Medical Center. http://www.umm.edu/health/medical/altmed/supplement/bromelain. Published June 26, 2014. Accessed May 17, 2017.